The crowd in attendance at a vigil at Auckland’s Aotea Square cheered loudly when Attorney-General David Parker said the Government would ban semi-automatic rifles. He warned of a global rise of extremism. “There is a dimming of enlightenment in many parts of the world,” he said. “How can it be right for this atrocity to be filmed by the murderer using a go-pro and live-streamed across the world by social media companies? Parker’s comments come after Prime Minister Jacinda Ardern’s earlier remarks that New Zealand’s gun laws would change. Ardern said five guns were used by the primary perpetrator, including two semi-automatic weapons, and two shotguns. “The offender was in possession of a gun licence,” Ardern said. She said the guns were purchased in December last year. She said there had been attempts to change New Zealand’s gun laws in 2005, 2012 and after an inquiry in 2017. Ardern reiterated that three people had been arrested in relation to the attack including one Australian citizen, who will appear in court today, charged with murder. She said he had travelled around the world with “sporadic periods of time spent in New Zealand”. Despite this, the man was not on any watch lists in New Zealand or Australia. He was not a resident of Christchurch, Ardern confirmed. She said he was currently based in Dunedin. She said inquiries were being made to assess whether the other two people arrested were directly involved in the incident. “The fourth person who was arrested yesterday was a member of the public who was in a possession of a firearm, but with the intention of assisting police,” Ardern said. That person had been released, she confirmed. Ardern said none of the arrested had a criminal history, either in New Zealand or in Australia. She reiterated that New Zealand’s intelligence community and police were focused on extremism of every kind. “Given global indicators around far-right extremism, our intelligence community has been stepping up their investigations in this area. Ardern said she had asked New Zealand’s intelligence agencies to “work swiftly” to see if there was any activity on social media or otherwise that should have triggered a response. Ardern said the Ministry of Foreign Affairs and Trade (MFAT) was acting as a liaison point for foreign governments. She said consular representation for any foreign nations involved had been provided. Meanwhile, Ardern said she had instructed ODESC to report to Cabinet on Monday with a view to “strengthening our systems on a range of fronts” including, but not limited to, firearms, border controls, enhanced information sharing with Australia and any practical reinforcement of our watch list processes. She said MFAT staff were dealing with offers of assistance, and receiving a significant number of condolence messages. After addressing media in Wellington, Ardern headed to Christchurch on a Defence Force plane. She said other political leaders, such as National leader Simon Bridges, would be going as well. 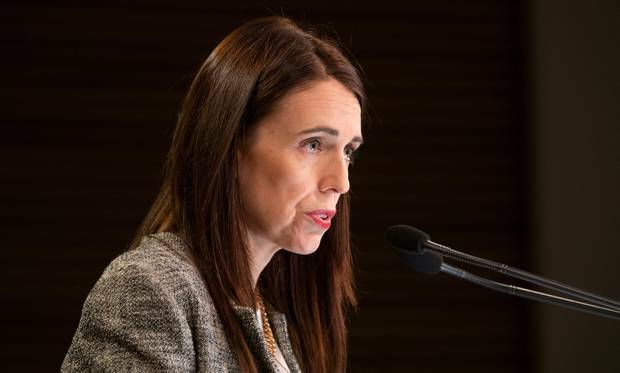 A spokeswoman for the Prime Minister was not able to confirm which other ministers would be accompanying Ardern to Christchurch today. Previous Previous post: Why the poor in India don’t revolt. Next Next post: Big Bang May Have Created a Mirror Universe Where Time Runs Backwards.